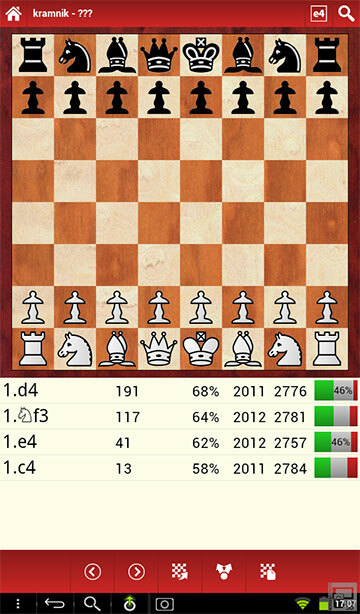 The latest major upgrade of the Android version of ChessBase Online is out, and it brings an important new function to allow improved research and opening preparation against an opponent: Create Book. The ability to work one’s way through the moves with win/loss statistics, instantly highlighting the moves that have yielded the best results, and moves that have been poorly explored, was unquestionably valuable, but now this has been taken a step further. 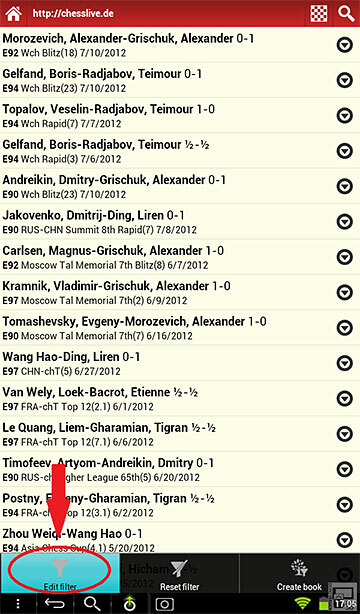 Suppose you are in a weekend open and scheduled to play Vladimir Kramnik. The sort of thing that happens all the time, needless to say. You will be black and usually play the King’s Indian, and your only means of specific preparation is using your ChessBase Online app. Previously, you could set up the position and then search for his games with black, which was certainly useful, but might be a bit time consuming, since you would need to look through the games to see what he played and how often. Now there is no need with the new Create Book function. 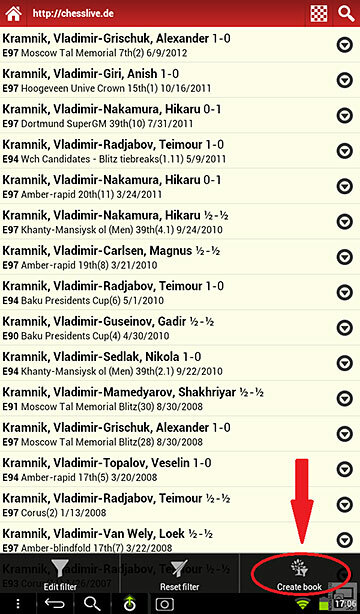 Now you can filter Kramnik’s games, give it a range of dates, or you name it, and build a tree only from that set. Here is a small tutorial that will demonstrate how that works. First let’s start by filtering the player and info first. recent on top. Click on the Menu button and then seelct Edit filter as above. 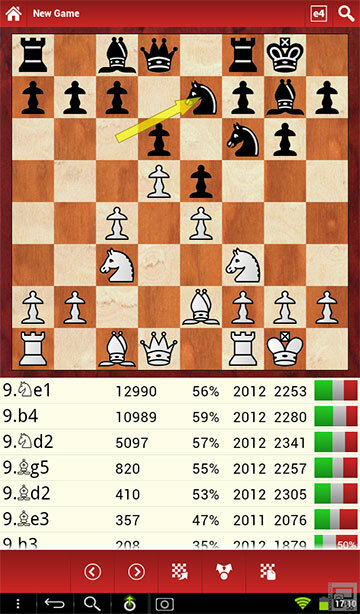 moves forward until the proper opening position is reached. the statistics based on the full five million games in the online database. This means that you no longer need to peruse the games to get a feel of what your opponent tends to prefer, as you will get instant statistics on their previous choices. 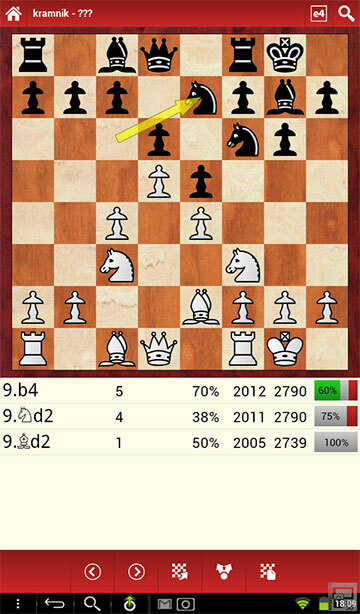 Chessbase Online for Android can be purchased from the Android Market for a mere four Euros. Scan the QR code above with your phone or tablet's camera to go straight to the Android Market link.